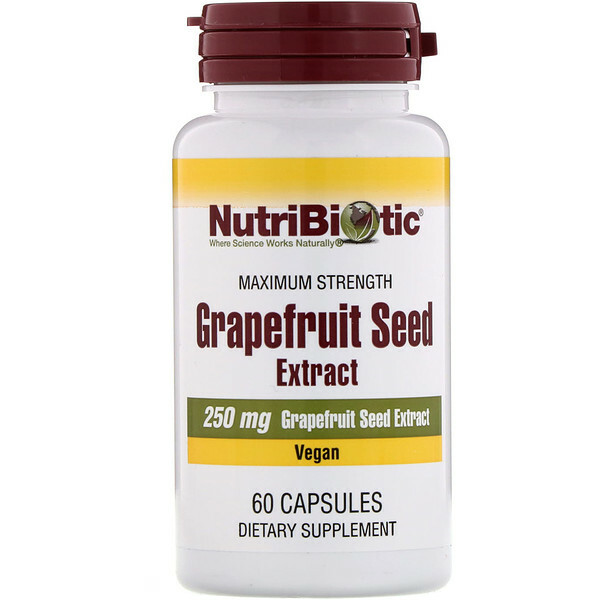 NutriBiotic Capsules contain grapefruit seed extract, a compound derived from the seed and pulp of grapefruit. This formula is used by healthcare professionals worldwide. 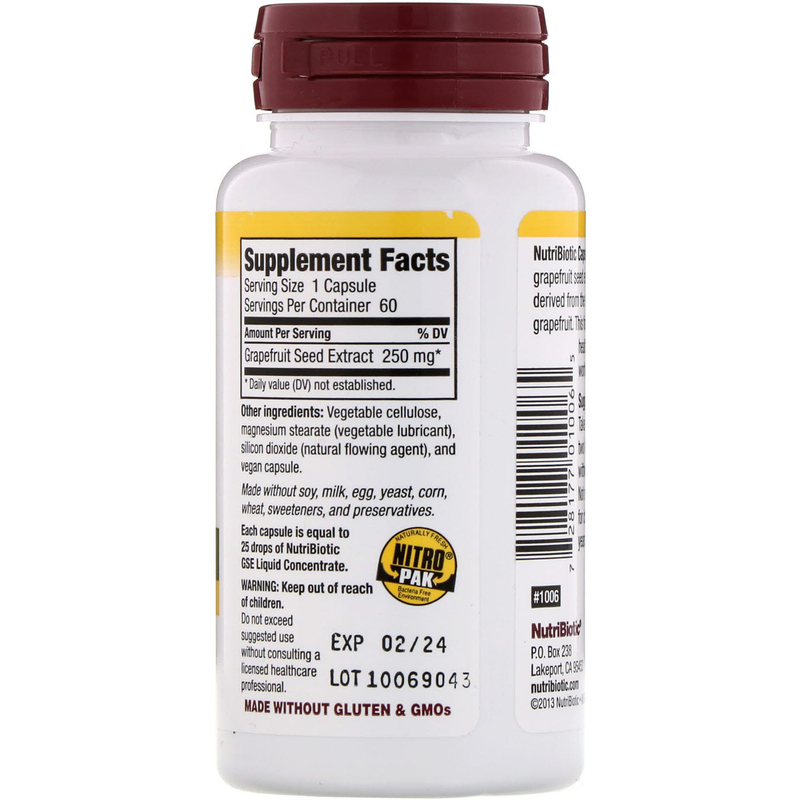 Each capsule is equal to 25 drops of NutriBiotic GSE Liquid Concentrate. 하루에 1-2회 1캡슐을 식이와 함께, 또는 공복으로 복용하십시오. Vegetable cellulose, magnesium stearate (vegetable lubricant), silicon dioxide (natural flowing agent), and vegan capsule. Do not exceed suggested use without consulting a licensed healthcare professional. * 매일 값 (DV)이 설정되지 않았습니다.